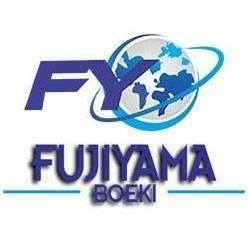 Company Profile : Fujiyama Boeki (Trading) have been exporting New & Used cars like Hatchbacks , Sedan , Wagon , Van , Trucks Buses etc exporting to many countries like African Countries , Asians , Caribbean , Ocean and many islands. We are Assisting Worldwide since 8 years. We have also been trading in machinery sets for small to large size vehicles as well as Japanese car parts upon request to our clients. Each customer we have satisfied with our fast and reliable services is a proof of our successful business PR. It doesn�t matter what services we provide, we always make sure it is the top notch service. We work on simple formula �WE ARE PREMIUM�. And by keeping this formula in mind, we apply it for every customer we deal with. We are not different from any other used car exporters, We are just better than them Which makes us first choice for our regular customer.